These are the most common insurances accepted by Dentists in Bronx, NY. Doctor was fantastic I love coming to this office!! My fear of dentist disappeared once I started coming to Concerned Dental!!. Best dentist I've ever had..
Dr. Goodbinder is an amazing dentist. He made me feel like i was the most important patient in the world. He explained everything with such detail. i left feeling secure about my treatment and i would definitely recommend this office to anyone..
Exllecent Place - great people -wonderful dentist.. Clean, Warm, Friendly, Makes going to the dentist. easier, and you have no fear. They make you feel at ease. and you work out of the with a millione dollar smile. Dr.John and his staff are phenomenal! They take care of our entire family. Dr.John always takes the time to explain the circumstances and possible procedures in a thorough manner. He is always eager to satisfy his customers!. 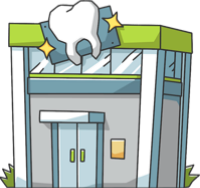 Great practice for dentist who wants to own!